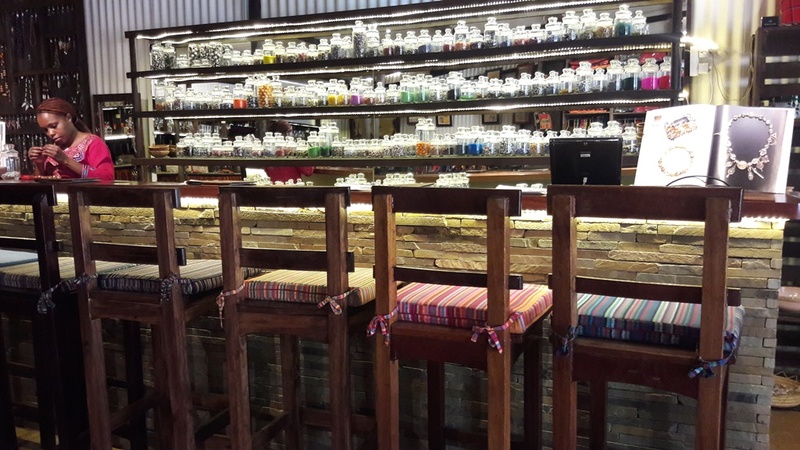 Shuka Duka Shop is a funky place that specialises in all things shuka! 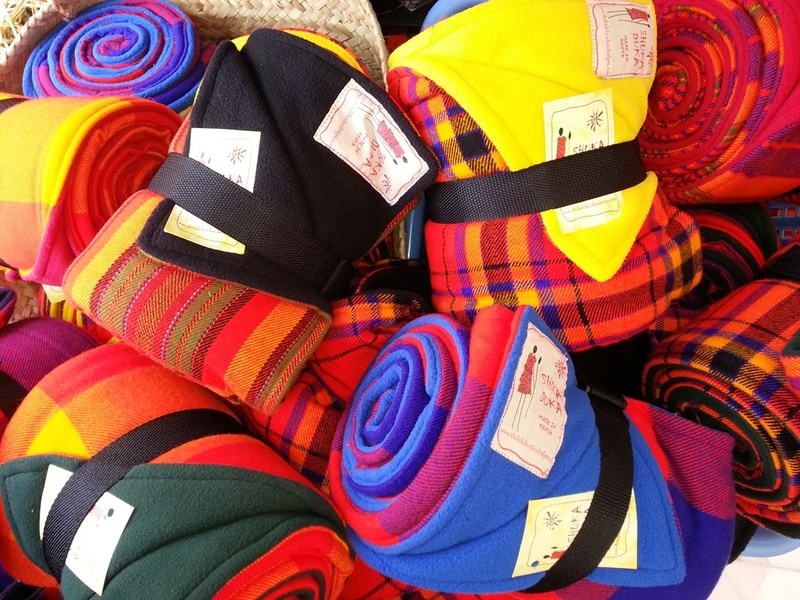 A shuka is the traditional blanket worn by people of the Masai tribe, mostly in distinct red patterns, but now with a modern take in a multitude of other designs. 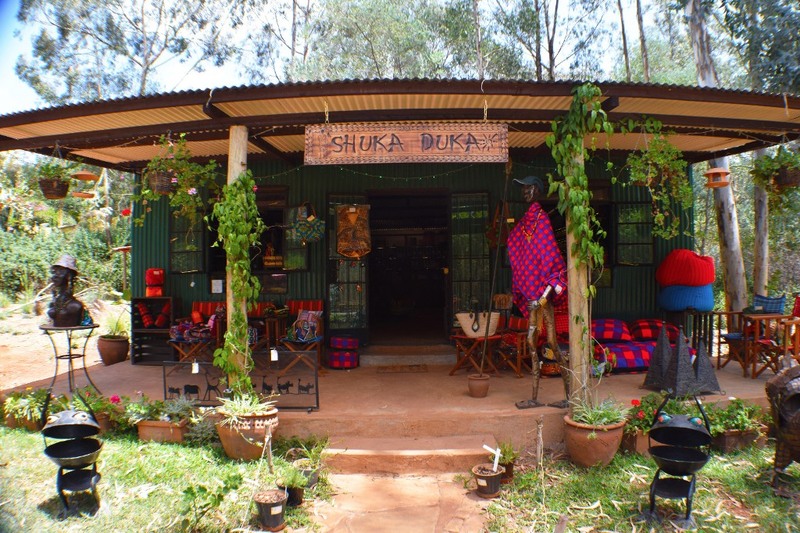 They use different thicknesses of shuka to create picnic blankets, fleece lined blankets, hot water bottles, beanbags, oven mitts, safari chairs and stools, bags and a range of other textile goods. They also use the costal cotton Kikoi fabric and West African wax print fabric for towels, wraps, scarves , baby sleeping bags and bunny bath-towels and much more! 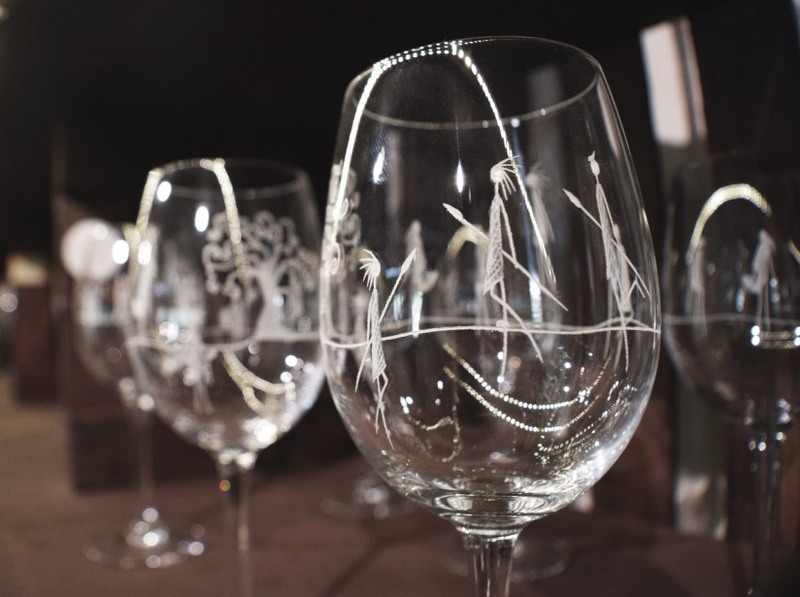 Shuka Duka has an eclectic range of hand-engraved glassware, based on African rock-art. In sets of six wine glasses, for example, each glass has a different animal depicted upon it. They offer complimentary engraving of names and dates if you want to celebrate a special day. Glass styles include red wine balloons, 3 sizes of tulip wineglasses, Champagne flutes, various beer glasses and mugs, shots and Pimms glasses, port glasses, Irish coffee glasses, whisky tumblers, stemless wine glasses and cocktail glasses, many of which come in presentation boxes with shuka napkins in pairs or 6 sets. Orders are also taken for specific occasions and events. The show piece of the shop is the Beads of a Feather jewellery bar, which seats 8. Join Shuka Duka Shop to make your own jewellery collection from over 50000 beads! Many are hand-painted glass from West Africa. Prices start at 10Ksh so this is a great activity for the whole family and a fun idea for birthday parties. The staff will help you use the tools and you can even order your favourite tipple from the Purdy Arms bar! Books and beading information is available to help you with your designs. There is also a beautiful selection of ready-made pieces to choose from and hair-feathers, that the staff will put in for you. 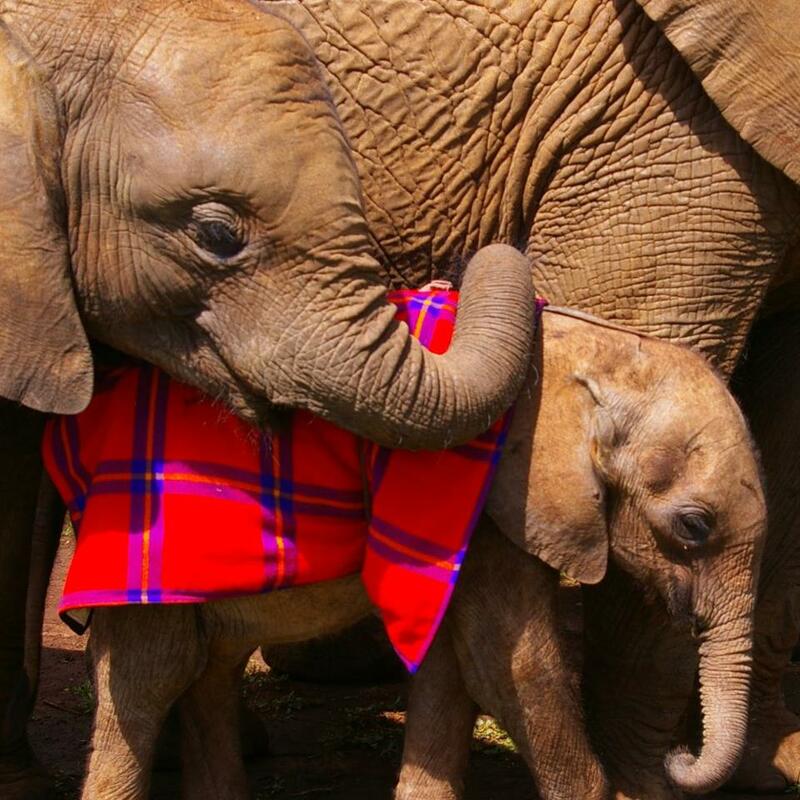 In support of local charities, Shuka Duka makes Elephant Blankets for the orphans at the David Sheldrick Wildlife Trust. You can purchase them in the shop and take them along when you visit the babies. For Save the Elephants, you can buy a Shuka Duka Dawa Set, which helps support the Elephants and Bees project by including a jar of Elephant Friendly honey!